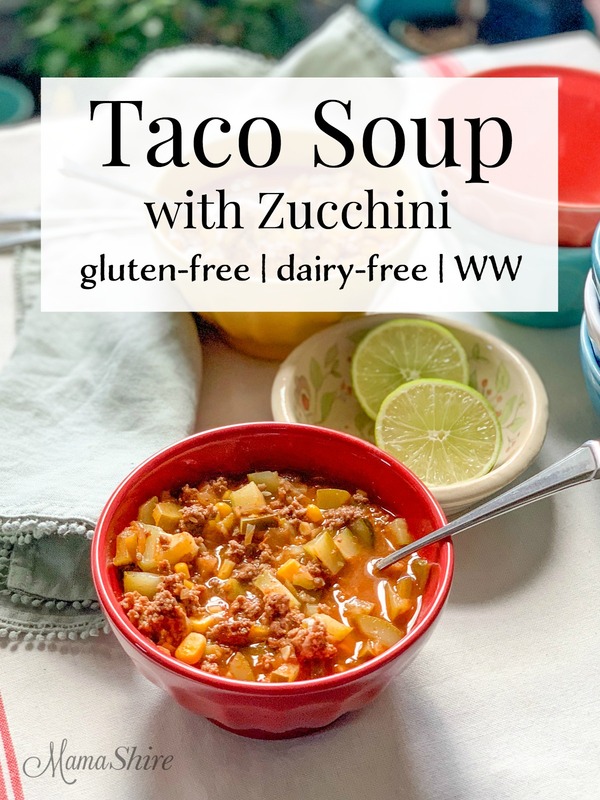 Enjoy this Gluten-Free Taco Soup with Zucchini. It’s easy to make and you can have dinner ready in 30 minutes. During the fall and winter months I like to make a pot of soup or two every week. It’s so comforting to sit down with a steaming hot bowl of soup that tastes delicious and warms you up inside. And depending on the size of your family you may have some leftovers making it an easy meal to reheat. Last year I purchased a 6-quart dutch oven and fell in love with how easy it is to use and how cute! I bought the purple one on a whim and just love the pop of color it adds to my kitchen. You could also make this in an Instant Pot, but it won’t be too much faster than using the dutch oven. If you do decide to make this in the Instant Pot use the saute function to brown the meat and onions, drain, add the rest of the ingredients and set the manual pressure at 2 minutes. It’ll take several minutes to come to pressure so that is why I think the dutch oven is almost as quick, but you can certainly do either. 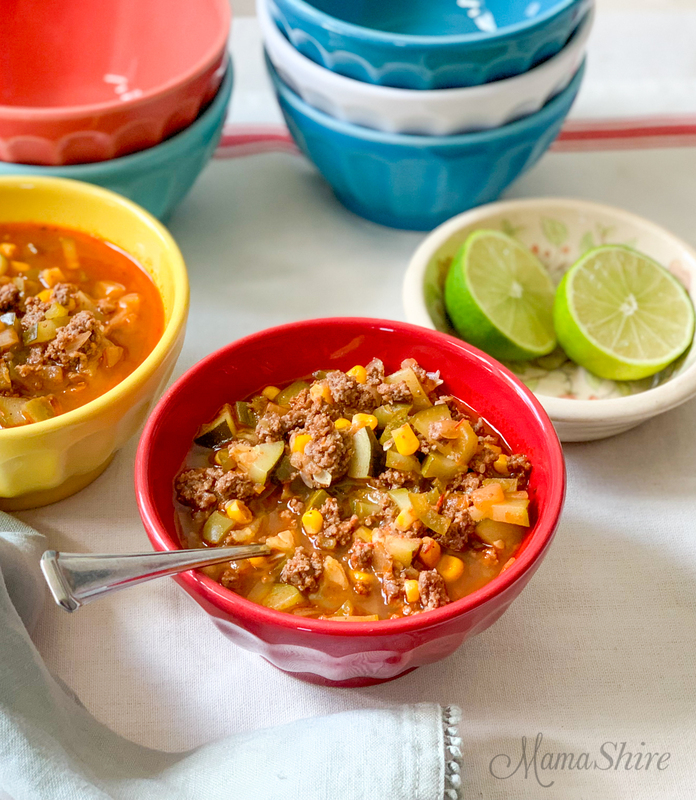 Delicious gluten-free & dairy-free taco soup. 6-Freestyle SmartPoints – serving size is 1 1/2 cups. In a dutch oven brown beef and onion; drain. Add in taco seasoning, green pepper, zucchini, salsa, chicken, and chicken broth. Bring to a boil. Reduce heat and simmer for 5 minutes. Stir in lime juice. Salt and pepper to taste. *Make sure these are labeled gluten-free. Pace Salsa is a good option for gluten-free and sugar-free. ** A easy to make homemade taco seasoning recipe can be found here. 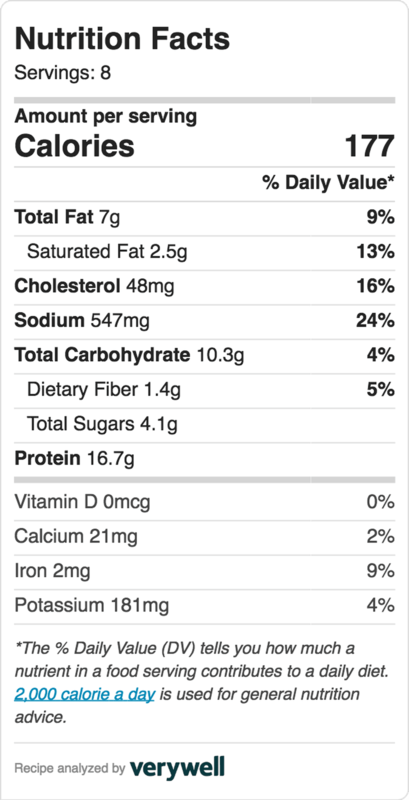 Freestyle Points were calculated with the recipe maker on the Weight Watchers App. Want to remember this recipe? Save this pin to your favorite Pinterest boards.